The algorithm runs without errors, but it is too slow. The code is supposed to count every cycle of length 8 in a bipartite graph. 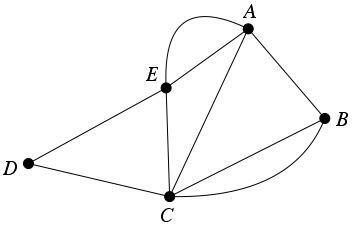 A bipartite graph is a graph of two groups of nodes. Left group, Check Nodes (CNs) and right group, Variable Nodes (VNs). Every CN from left group is allowed to be connected to a VN from right group. This is known as Directed Graph (DG). A DG has only cycles of even length 4,6,8,10,.. The Girth of the graph is the length of shortest cycle in it. The algorithm walks through the graph in a BFS fashion searching for all possible nodes combination forming a cycle of the specified length (here 8). 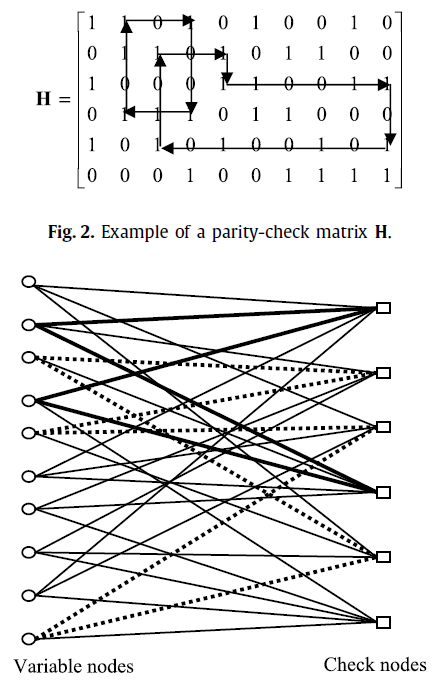 Matrix H in the code represents the graph. Each row is a CN and each column is a VN in the graph. EDIT: A comment on matrix power approach given in the answer. In my case, the adjacency matrix is (M+N)x(M+N) = 1536 x 1536. Watch out for the complexity of (1536x1536)^8. What you should be using is a neighboring matrix. The key is graph theory. You represent the graph with a matrix. Here is a graph and its corresponding neighbouring matrix. If you look at the first row you see that A has no one-step connection to itself. But it has a one-step connection to every other node. Node B has a one-step connection to A and 2 different one-step connections to node C. As you can see it all sums up if you keep going like this. Now then, here's the mathemagic. If you multiply the matrix with itself the result will be a matrix which tells you all the connections of two-stop length. Continue multiplying with the original matrix until you've done it 8 times and you will have a matrix which tells you how many connections of eight-step length you have. How is matrix multiplication done, you might ask? This method works for all graphs. All you need to do is make sure the graph is bipartite to begin with. Not the answer you're looking for? Browse other questions tagged optimization performance graph julia or ask your own question.